With Quebec expected to permit Uber's Jump and other companies, Montreal is introducing a bylaw regulating where dockless bikes and e-scooters can be ridden and parked. Dockless electric-bike and electric-scooter sharing systems are expected to arrive in Montreal as early as this spring, and in response, the city is introducing a bylaw to try to prevent the "chaos" experienced elsewhere. 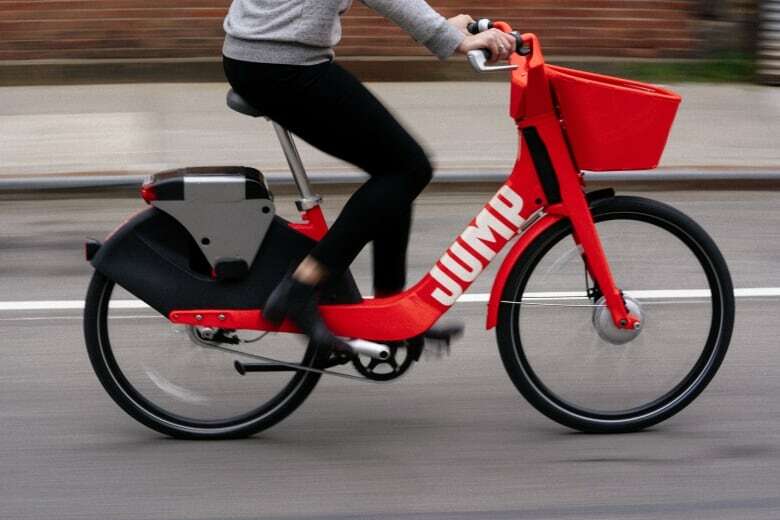 The provincial government has said it will issue a decree permitting shareable, dockless e-bikes and e-scooters in the coming weeks. "We're open to that new form of mobility, but we want to have clear control of the way they're deployed on the street, and we want to keep our sidewalks clear," Coun. Éric Alan Caldwell said Wednesday at an event introducing the city's regulatory plans. "In other cities where it has been allowed and there has been no regulation, it's chaos." They've caused big problems across the U.S. Is Toronto ready for dockless e-scooters? The e-bicycles and e-scooters are equipped with GPS and activated using a smartphoneapp. Unlike Bixis, they can, in theory, be left anywhere. Proponents note that the vehicles reduce motor vehicle traffic and improve urban mobility. Detractors see them as a dangerous scourge — cluttering streets and other public places and endangering pedestrians. Caldwell acknowledged that the city can't predict exactly how the vehicles will be used. "It's something we've never seen, and we've decided to adopt a bylaw before these bikes or scooters are on our streets," he said. The city will be "agile," he said, adjusting the rules as needed. 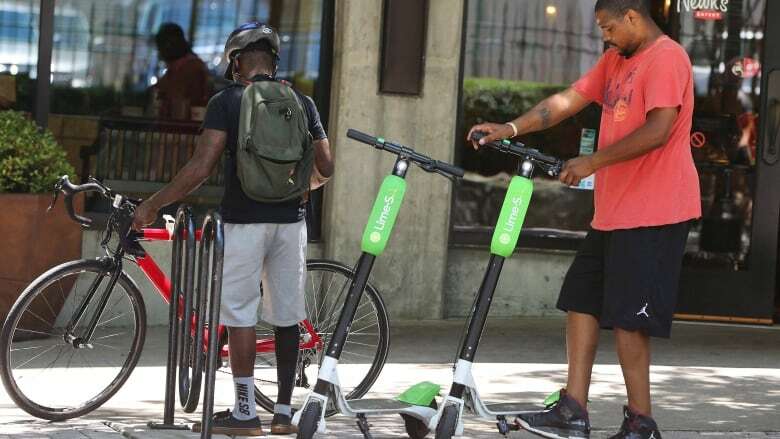 The bylaw, which the Plante administration plans to table and adopt in April, will prevent the e-bikes and scooters from being ridden on sidewalks and will designate specific areas where they can be parked. They will first be allowed downtown, in an area bounded by René-Lévesque Boulevard and Sherbrooke Street, and Guy and Berri streets. The city will require the sharing system's operators to be based in Montreal and to respond quickly in the event of misuse, Caldwell said. "We'll have the power to remove the licence of delinquent operators," he said. Operators will be charged a fee to enter the market, with additional fees based on the number of vehicles they introduce.